In Azure Automation, you can now create graphical runbooks that are based on native PowerShell. This means that graphical runbooks you create will start very quickly and will be easier to author and test. 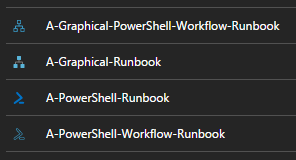 If you need checkpointing in your workflows, you can still create "Graphical PowerShell Workflow" runbooks. These have been renamed from their previous "Graphical" name. There are new icons for the runbook types to help you quickly identify them, and the authoring canvas for graphical runbooks has a new look. 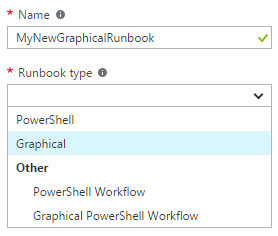 To get started with graphical runbooks, you can convert one of your existing Graphical PowerShell Workflow runbooks to a graphical runbook by exporting it and then re-importing as the new type. You can also easily get started by importing new graphical runbooks from the Automation Runbook Gallery (Script Center source).